Evaluate your fatigue using the International Airborne Geophysics Safety Association’s self-assessment tool. Complete a short questionnaire to compute your risk score and determine if you are fit to work or fly. Daily reminders to complete the self-assessment. Quickly share risk scores with your supervisor. Native iPhone application for geophysical-survey pilots to self-assess their fatigue level. Features programmatic UI with intuitive data entry mechanism. Employs graph theory algorithms and data structures to represent questionnaire. Commended for attention to detail and high level of refinement. 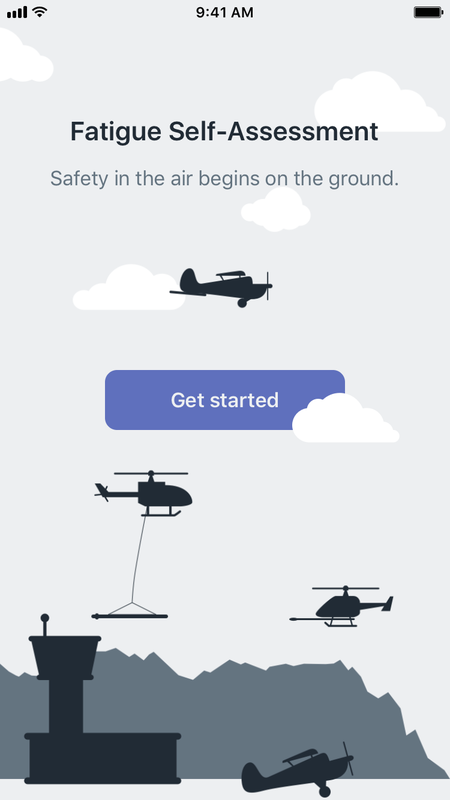 The International Airborne Geophysics Safety Association (IAGSA) promotes the safe operation of helicopters and fixed-wing aircraft on airborne geophysical surveys. Pilot and engineer fatigue is one of the safety risks they wish to mitigate. IAGSA developed a flight card where pilots and engineers tally up their responses to questions to determine their risk score. However, this solution has poor adoption amongst users. Fatigue implements the same logic as the flight card but improves on it in four areas: The app offers greater convenience than the flight card, has a reminder feature so users don't forget to complete the self-assessment, automatically tallies their risk score, and finally implements a convenient method for users to report this risk score to their supervisor. Fatigue represents the question sequence as a directed graph. This is necessary because an answer to one question determines the next question that is asked. For example, answering "No" to "Have you been on-site for less than three full days?" 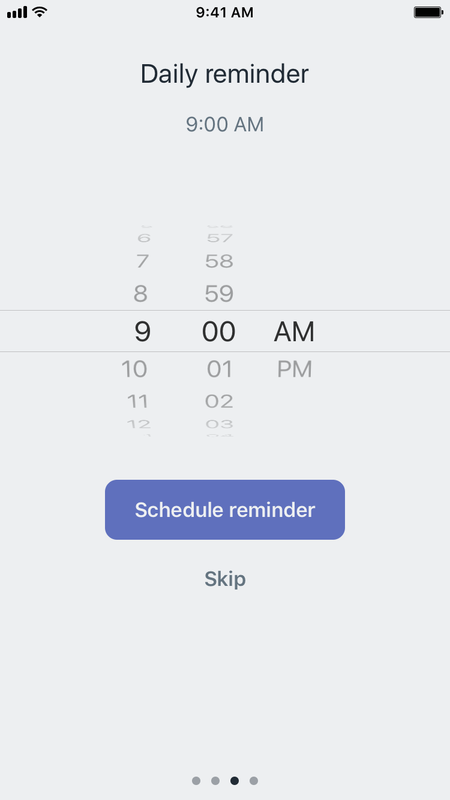 allows the user to bypass a question related to time zones. 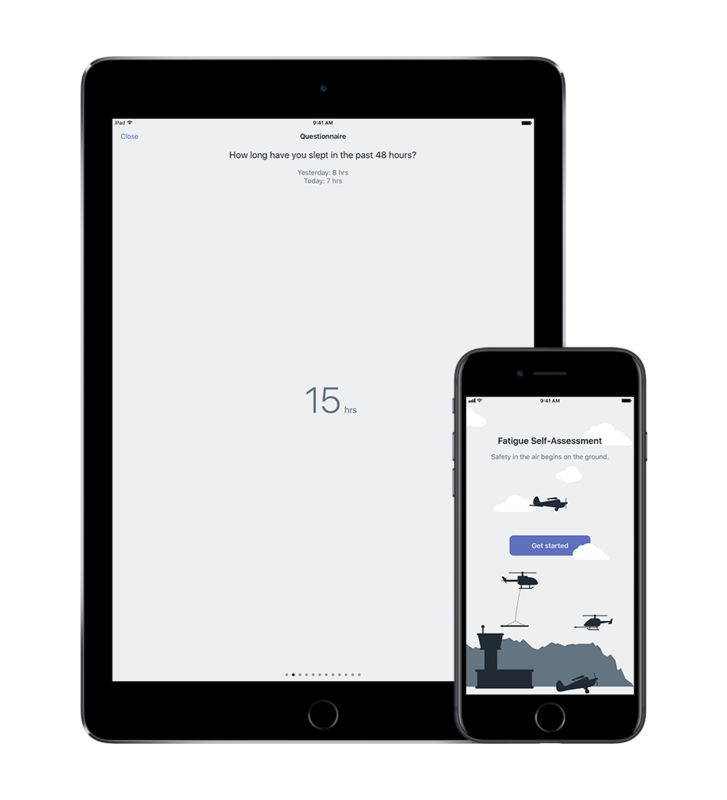 The app performs a longest-path computation each time the user responds to a question to determine the most number of questions the user will answer. This is shown by the UIPageControl at the bottom of the screen.